I have been trying to control myself. Trying not to jump into the apple and pumpkin everything bandwagon too soon. When September finally came, I sprung into action. I diced up my apples, gathered my ingredients, plugged in my Crockpot Slow Cooker, and got to work. My house smelled heavenly. All thanks to this Apple Pumpkin Butter recipe. Seriously. Bust out the crockpot one of the days you're at home this weekend. The smell alone is worth it while it cooks down. Most of the ingredients you probably already have around your house. 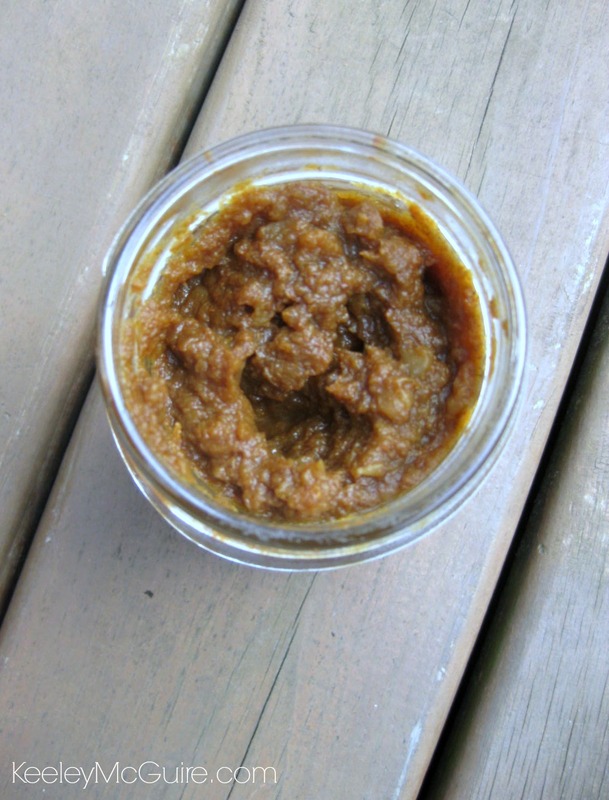 If you're like me, I always keep a can of pumpkin puree around, as I love using it in baking breads and muffins. 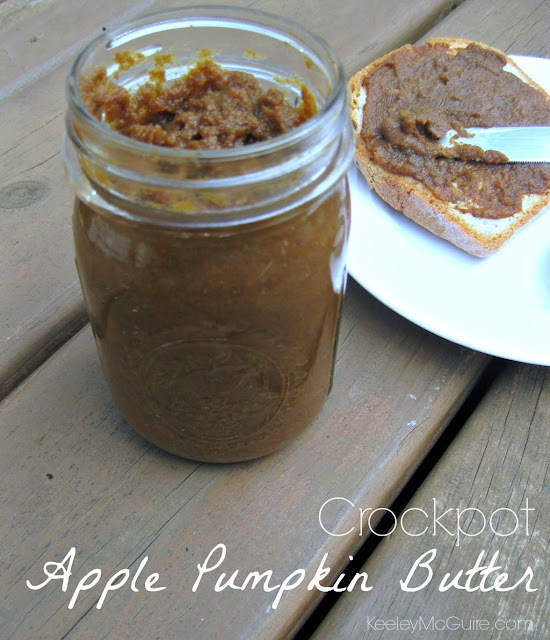 This butter only calls for 1/4 cup of brown sugar, so it's not overly sweet - just the way I like it. If you tend to like yours on the sweeter side, bump it up to a 1/2 cup. It does take a little bit of work, as you'll need to keep an eye on it an stir the pot every so often. I used a slow cooker liner in my pot and sprayed it first with cooking spray to help. 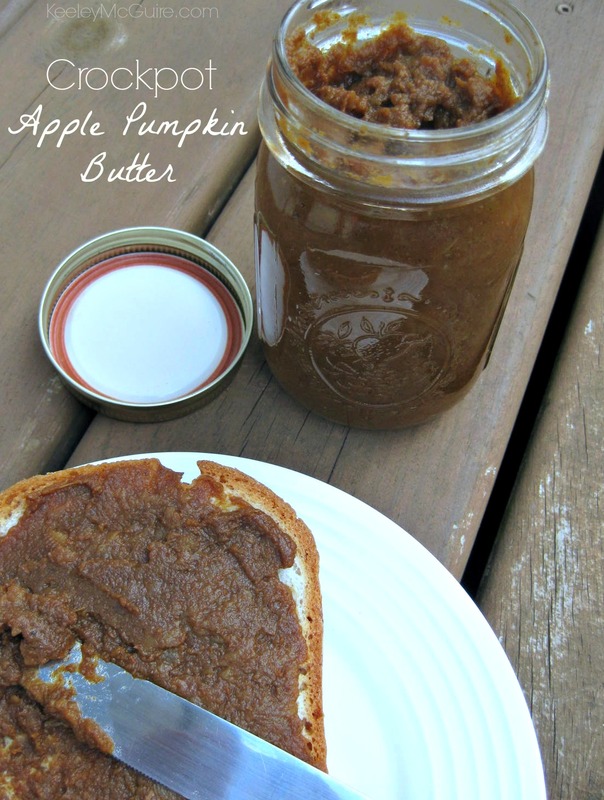 If you feel your apple pumpkin butter is starting to burn or turn bitter, add a 1/2 cup of water to help (but I didn't need any). Thanks for sharing, this looks delicious. MUCH better than that store bought crap we have been eating! LOL thanks Steph! It's certainly delicious. I love making my own apple based butters this time of year. First off, LOVE your snazzy recipe widget. Second, this looks amazing!! can you omit the sugar all together and rely on the sweetness of the apple? You can, but you have to be careful because the little bit of sugar helps take away from the bitterness that can occur. What type of apples do you use? Cooking or Eating apples? Thanks! Hi Kathleen! I note it in the ingredients. I used Fuji apples. Thanks!! Hi Teresa, realistically it should last 2-3 months in the fridge. You can also freeze it. Thanks! This looks delicious! 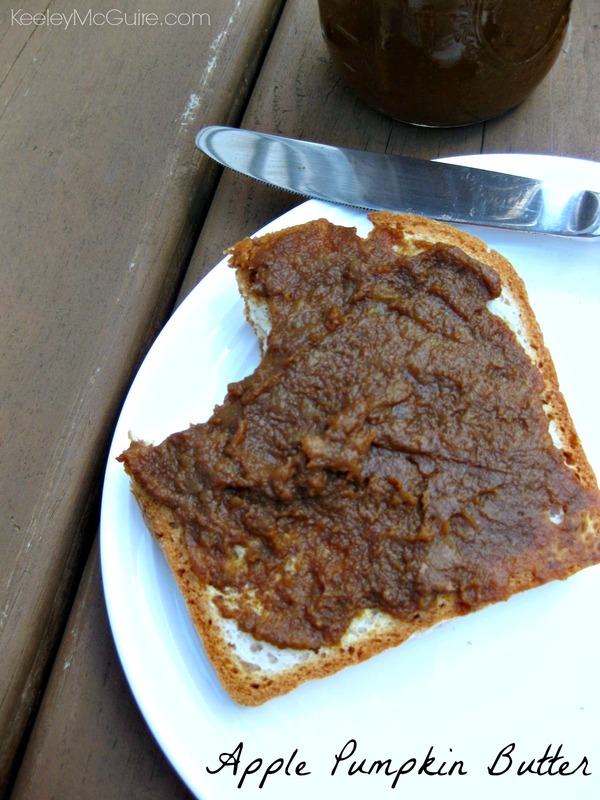 Do you prefer to use light or dark brown sugar in this recipe? Excited to make this soon! Thanks!